Can Guinó is a country farmhouse with close ties to the world of sport, and specifically cycling. Set in an unparalleled location for the practice of road cycling and mountain biking, our clients can map out routes adapted to all skill levels, whether independently or with a guide. If desired, our staff can accompany athletes in a support vehicle to provide them with any assistance they may need. 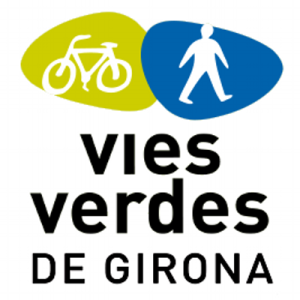 In addition, Can Guinó is very close to the greenway that connects the mountains of the Pyrenees with the beaches of the Costa Brava. It also crosses through the city of Girona and a number of towns with unique charm. It is no wonder that the province’s roads have become a usual meeting point and training area for various cycling teams, such as Pilot UCI. 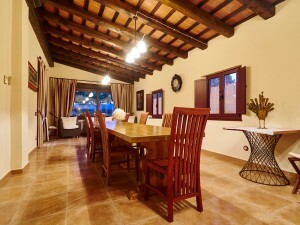 Can Guinó has five double rooms with en suite bathrooms, as well as all the desired comforts, such as the pool or the relaxation area, for exclusive use by the guests of the house. We also provide access to a storage area for parking bicycles, cleaning them and even repairing them. And if you visit us with an electric bicycle, no problem! We also have a charging station. Check on the house’s availability by using the contact form or by calling (+34) 687 711 299.